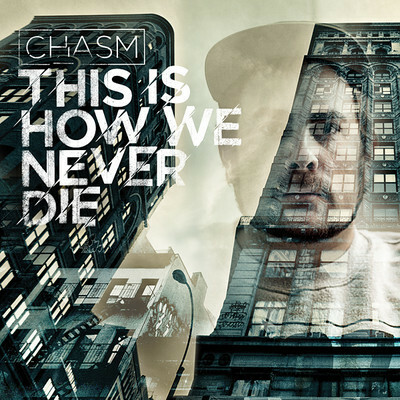 Chasm’s highly anticpated LP release This Is How We Never Die is due April 27th through Obese Records and features big names such as AG (DITC), Delta, Lazy Grey, Hau, Brad Strut, Guilty Simpson, Fashawn, Solo, Blak Twang, David Dallas and many more. Chasm is one of the leading hip hop producers in Australia, signed to Obese Records for his solo work and to Elefant Traks for his work with his crew Astronomy Class featuring Ozi Batla and Sir Robbo. Having released 2 crew albums, Exit Strategy (2006) and Pursuit Of Happiness (2009) and 2 solo joints in the last five years Beyond The Beat Tape (2008) & Move, Chasm also has a stack of production credits and remixes to his name. The Truth is the new single from superlative producer Chasm, the first instalment from his upcoming LP, featuring three of Australia’s most proficient emcees; The Tongue, Hau, and Dazastah, the track is innovative and brazen. From the get-go the track detonates out of a vocal crescendo into its punchy, progressive party feel. Chasm with his exceptional ear for eclectic sample combinations fuses latin piano loops with brass accents and futuristic synth solos. Bringing a new shine to the art of braggadocio, the three emcees effortlessly glide through verses, each repping his distinctive style with assurance. The Tongue, Hau, and Dazastah all wrote and recorded their verses for The Truth in one day.